Sometimes those I paint or draw prefer to keep the results private, and that's understandable... but thankfully, in this instance, the lovely Jaki was happy to share. 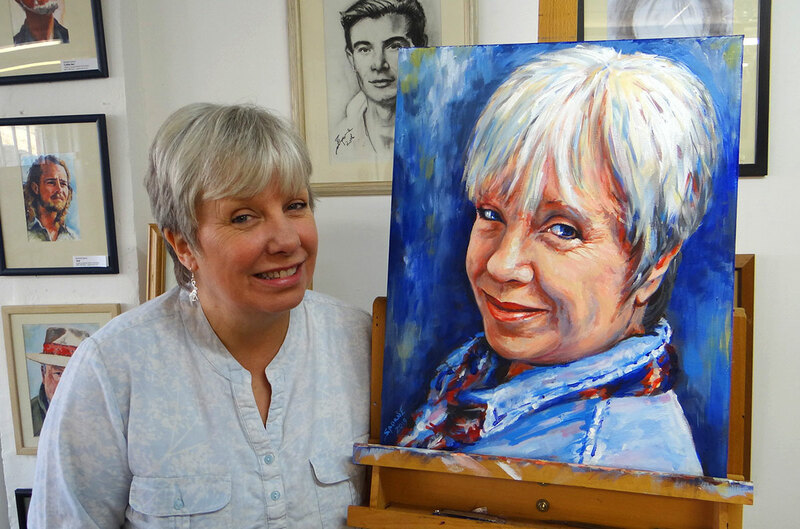 With the original painting now gone to its new home I'll be getting this photo printed up – sadly not in time for this weekend, but by the middle of next week it will have joined my 'Rogues Gallery' of past subjects and their portraits on display in the 'new' studio. Just to remind: we have now permanently moved to the middle-floor Studio 12 and are open 11am-3pm most Weds, Fri & Sat (I'm usually in residence the latter two days).